CBD Oil Review rates the Dixie Botanicals line with three stars because it qualifies for the Quality, Mission & Innovation Badges. 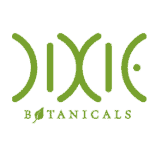 Dixie Botanicals creates CBD oil products for health conscious consumers that range in price from $49-$199. This evident because of their collaboration with JBK Wellness Labs. JBK is focused on opening the door to the healthiest, most youthful, and rejuvenated condition possible. Dixie Botanicals is quite transparent about their sanitation, testing and controls that might impact the purity, quality and composition of their end products. Fortunately Dixie Botanicals cares about making their products healthy because all of their formulas are free of coloring, pharmaceuticals, preservatives and sugar. 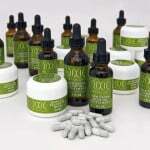 Dixie Botanicals products are well known and used being sold in dispensaries across the nation. Quality Verified -Dixie Botanicals uses only the highest quality raw ingredients to ensure their finished products are of consistently high quality. Mission Verified -Everything Dixie Botanicals does is driven by their passion to help everyone achieve optimal health. Innovation Verified -Their Chief Formulator is a herbalist with an impressive family lineage with a focus on creating products that create optimal health. Blind Faith On Safety – They have only published one lab result since April of 2014, so even though they “test everything”, we have to just take their word for it. 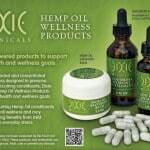 Who Is Behind The Wheel – Dixie Botanicals was recently acquired by MJNA and is being sold and operated by Hemp Meds. Anytime a company changes hands it puts into question the ongoing integrity of their mission and products. 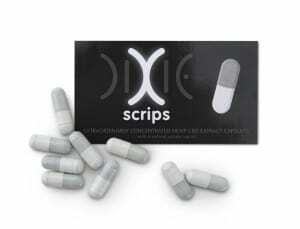 Dixie X was the original brand name when it first hit the market. Shortly after they made a change to a more colorful Dixie Botanicals brand.